Thinking about a quick getaway to The Bahamas? Our latest Cruise Ship Tour, in the carousel above, offers a deck-by-deck look at a vessel that just started up two-night voyages to the island nation from the port of Palm Beach, Florida: The 1,680-passenger Grand Classica. 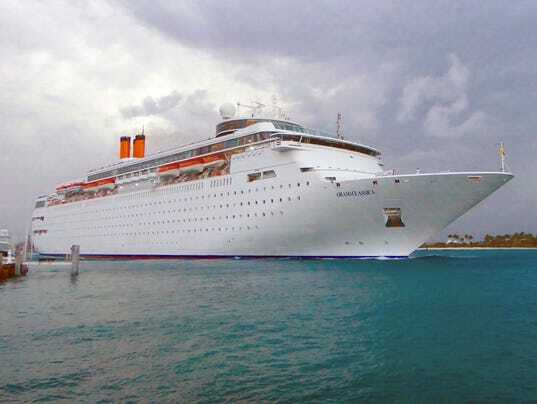 Operated by three-year-old Bahamas Paradise Cruise Line, the former Costa Cruises ship sails from Palm Beach to Grand Bahama Island in tandem with the slightly smaller Grand Celebration to provide daily departures. At 52,926 gross tons, Grand Classica is the largest passenger ship to be permanently based in cruise service from Palm Beach. As can be seen in the tour, it is also one of the most beautifully appointed ships ever used for such short itineraries. Originally built in 1991 as the Costa Classica, the nine-deck-high vessel was designed by renowned architect Pierluigi Cerri and noted for its cutting-edge style and quality Italian art collection. Previous articleWhat’s the most popular age to take Social Security?